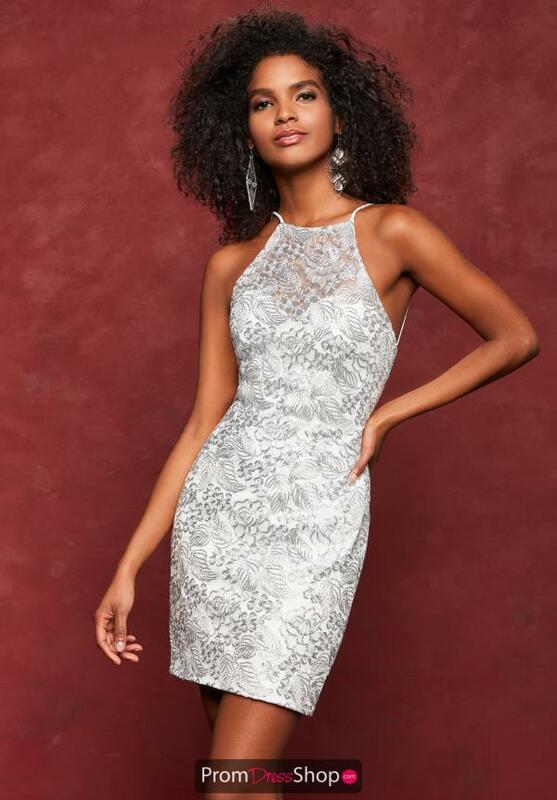 Stunning Clarisse short dress 3675 is sure to give you the confidence you need at your formal. Featured is a sheer high neckline outlining a lovely sweetheart neckline. The slim silhouette creates a figure flattering effect that will have you feeling and looking your best. Adorned with appliques for intricate, one-of-a-kind detail, this style is completed.